Replacing your old drafty windows is often a rewarding process that will provide your home with a number of present and potential gains in the form of energy savings, curb appeal, and added home value. This is of course, provided the process was successful, which will mostly depend on the quality of the installation. It’s not enough to have new windows, you should also have an idea of how we install them. Selecting your new windows is only the first step in the replacement process. We will custom build each one according to the precise dimensions specified by our consultant who will measure them in your home. Using these specs, we will size, trim, assemble, inspect, and certify your windows. 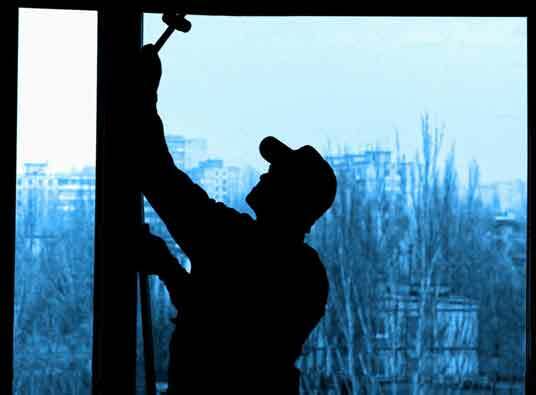 Once your windows are ready, we will contact you to set up a date for the installation at your convenience. We can install your windows in Detroit at any time of year, in almost any weather. On the average, installing ten windows or less will take just one day. The day before the installation, we will call again to remind you of our scheduled visit. For a faster process, please remove any window treatments and hardware before our installation crew arrives. This way, they can get to work as soon as they arrive at the work area. The crew will arrive early in the morning to begin the installation. They will first take out your old windows and haul them away for proper disposal. Next, they will carefully prepare each window opening and double-check the measurements. If all is in order, then they will fit in the new windows. Because your new windows are custom made specifically for your home, you can expect them to fit snugly without fuss. Our technicians will seal and secure the windows, then test them for any hidden gaps that can compromise the airtight seals. They will also provide instructions on how the windows work – opening and closing, locking and the special convenient tilt-in features. After the installation, the crew will clean the job site carefully so that the only change you see will be your new replacement windows in Detroit. A supervisor will inspect each window and the overall job site one last time before asking you to sign off on the project. The job is only finished when you are fully satisfied that the installation has met your approval. Call us now at (888) 338-6340 for your window replacements. You can also fill out our request form for a free quote.